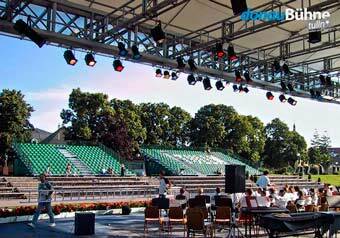 The stage is located directly on the banks of the Danube River, between the old railway bridge and Nibelungenplatz. If you find yourself with time to spare before a concert, the nearby city center is very inviting with its beautiful and spacious main square and restaurants with a southern flair. In addition, the Egon Schiele Museum is located in the grounds. 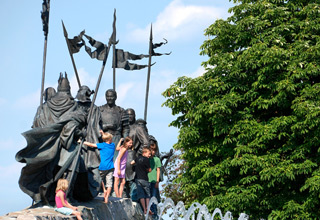 Thanks to the TULLN TICKET promotion, you can visit other attractions in Tulln, for example the Schiele Museum, for reduced admissions prices! 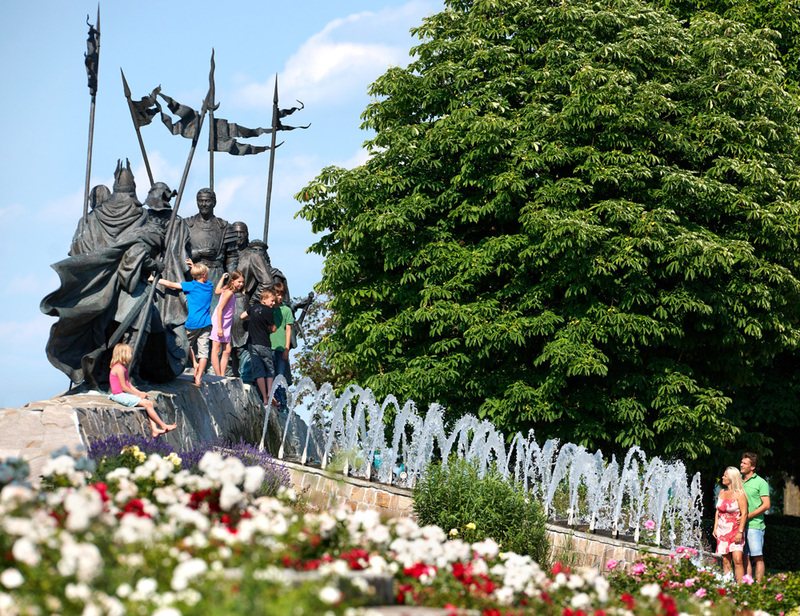 Visit the page ‘Tulln experience’ to learn more about the diverse and interesting things Tulln has to offer! The area is closed off with a fence during events requiring a ticket. The main entrance and box office are located at Fischergassee. This entrance is ideal for visitors who park at the parking garage on the corner Nibelungen / Albrechtsgasse or at the parking garage at the main square. For more details on where to park, see the Arrivals’ section (link in the navigation bar on the left of the page). The box office, located at the main entrance, is open for paid events from 5 PM until one hour after the begin of the concert. Tickets for other events can be also be purchased at the box office at the presale price. It is possible to pay with credit or debit card. There is no ATM at the site itself, however several ATMs can be found in the main square which is located within walking distance (approximately 3 to 5 minutes). During events requiring the purchase of a ticket, the toilets are located outside the fence, but are open for use at any time before, during or after the event. Use of the toilets if free of charge. When leaving the premises you will be issued a ticket by the staff – please be sure to hold onto this ticket as you will need it to re-enter. The spectator area is located on a hill – this means that the stage is easily visible from every seat. Our sound system is optimally calibrated at the cutting edge of technology and is placed so that all parts of the spectator area receive excellent sound quality. During ticketed events our ushers are available to answer your questions. Our "Gastro-village", located just behind the bleachers, is open during all events except the children's theater and offers a wide variety of drinks and snacks. The Danube Stage Tulln is an open air festival – all events take place come rain or shine! Our cancellation policy can be found in our Terms and Conditions.